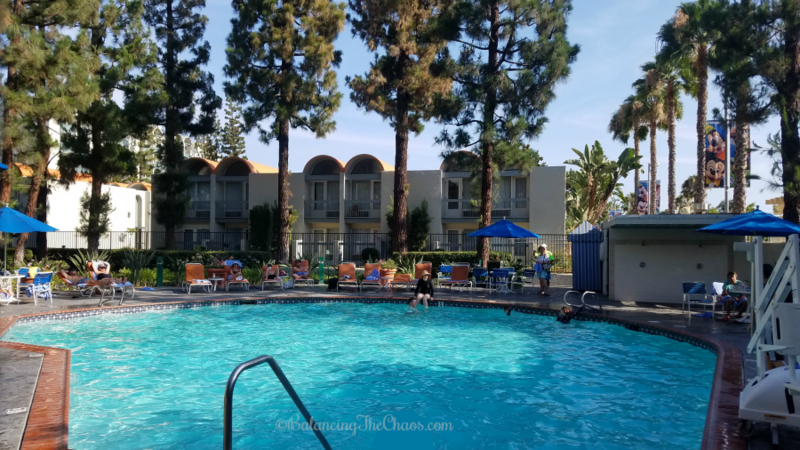 Looking for a great staycation hotel in Anaheim that is close to local Southern California attractions like Disneyland and Knott’s Berry Farm? 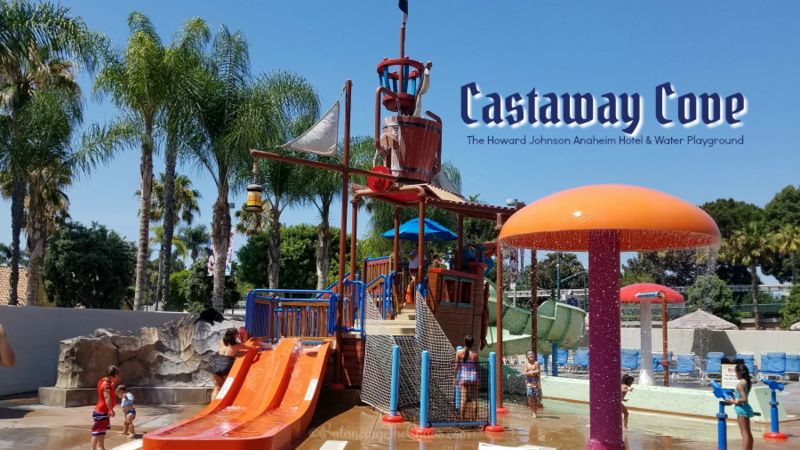 Then you’ll certainly want to check out the newly renovated Howard Johnson Anaheim Hotel and Water Playground. The redesigned guestrooms feature a contemporary, retro-inspired look circa 1965 in honor of the year Howard Johnson Anaheim first opened its doors with vibrant blue wall coverings, vintage Disney themed art, speedy Wi-Fi and an awesome Enseo TV entertainment system with Netflix and Pandora streaming, some even featuring connecting and bunk bed room choices. 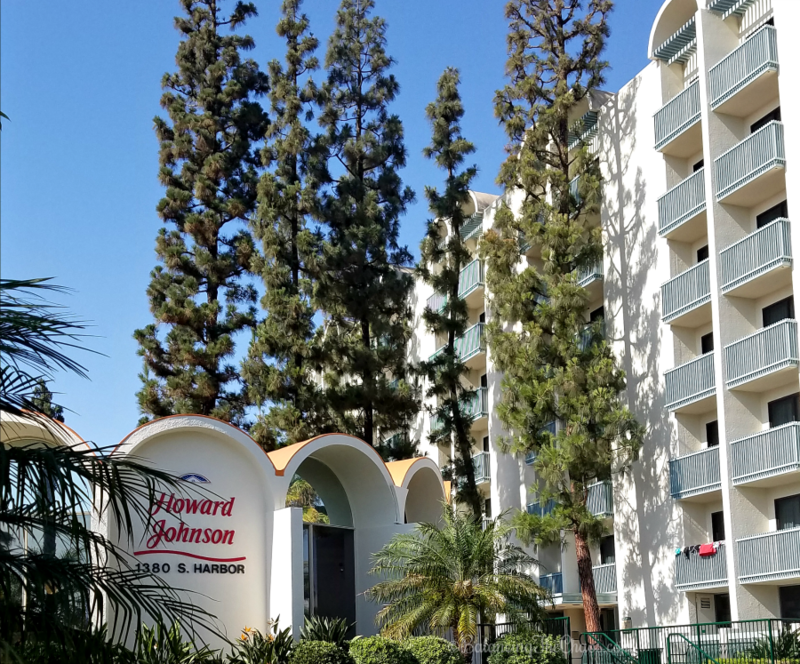 The Howard Johnson Hotel and Water Park is one of Anaheim’s original hotels and thrives on its updated, yet mid-century modern appeal. The 296-room hotel opened its doors in 1965, ten years after Disneyland Park opened to the public. This unique property encompasses six-acres, features six buildings with interior corridors, and is surrounded by well-maintained gardens. 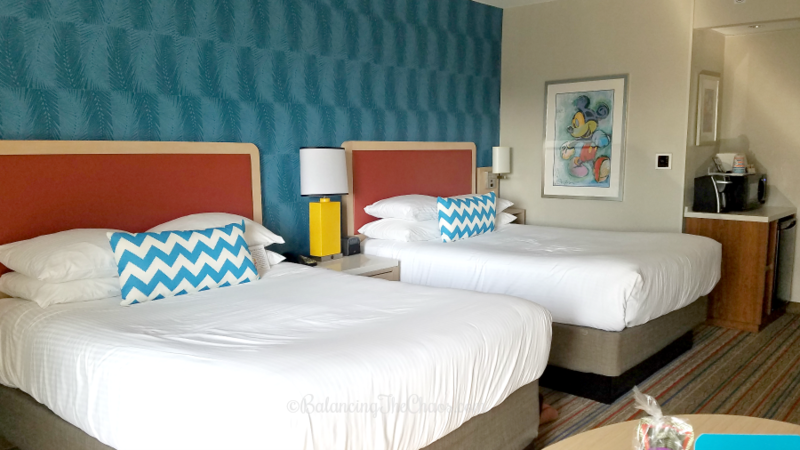 With guest experience in mind, the updated retro-style guest rooms were designed to create the idealized family vacation atmosphere reminiscent of the 1960’s, a place where families feel free to play together and reconnect. 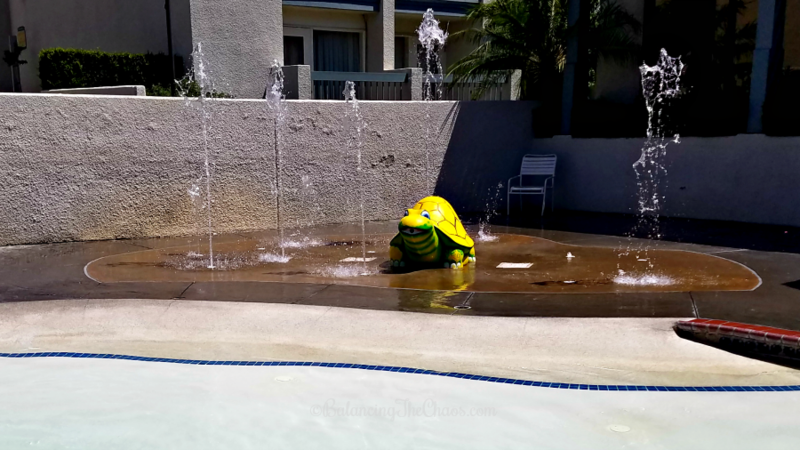 As invited guests of the Howard Johnson Anaheim Hotel and Water Playground, I can tell you that when we walked into our spacious hotel room, the kids were very excited about our retro family fun. The bright colors of the room gave off a calming, yet playful atmosphere. And of course, they linked up right away to the speedy Wi-Fi offered throughout the hotel. 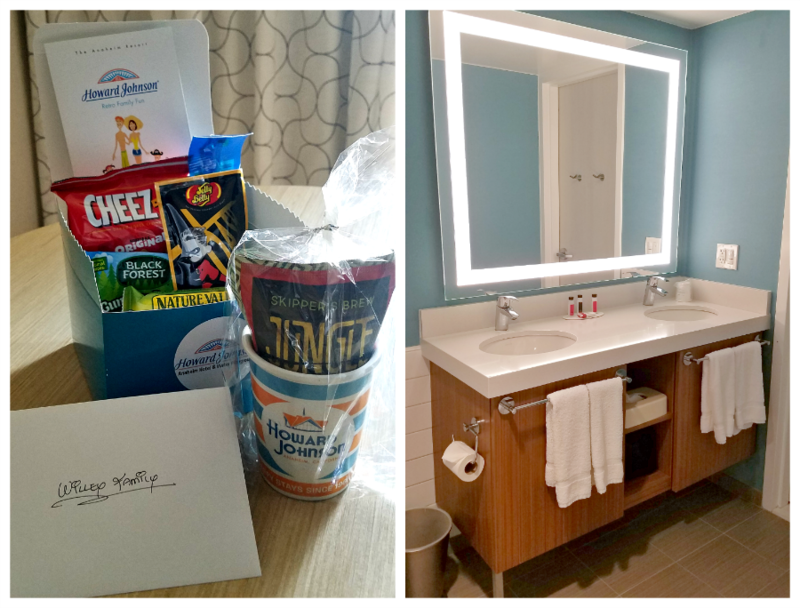 We also received a cute little welcome basket in our room with a variety of snacks and information about the hotel and local attractions. We checked into the hotel around 4pm, and wanted to walk around a bit to check out the grounds before dinner. The kids LOVED the big Adirondack chair in the garden, a perfect “instagramable” “photo opportunity”. The Howard Johnson Anaheim sits on the corner of Harbor Blvd. and Ball Road, and is within walking distance of Disneyland and so many restaurants to choose from. 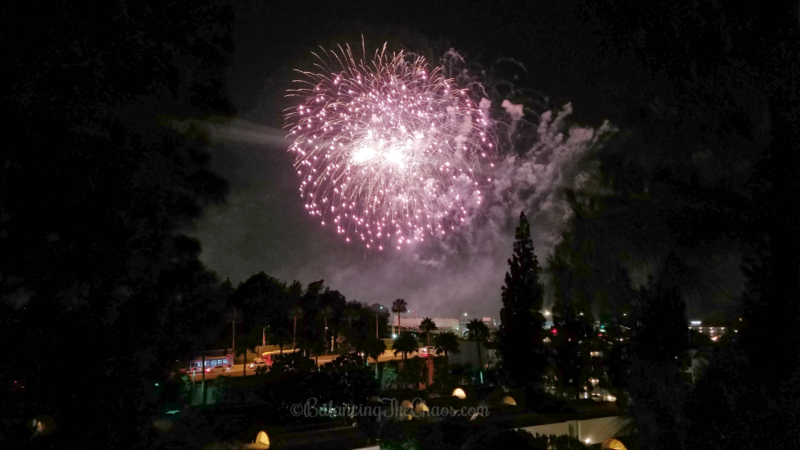 As a matter of fact, our room was in building #1, overlooking Disneyland, perfect view of the fireworks. After a quick meal, we decided to head back to the hotel and check out the rest of the grounds. The Garden Pool is located towards the back of the property, surrounded by three of the hotel property buildings, one of which is currently housing their mini arcade, with air hockey and a few arcade games. The garden pool is accessible with your room card and there are towels in the far corner for guests convenience. This pool has a gradual incline and goes from 3 1/2 feet deep to 5 feet deep. It was perfect for swimming laps while kids were practicing their aquatic summer saults and jumps off of dad’s shoulders. The popular “Castaway Cove,” is a pirate-themed water playground with a 30-foot pirate ship, 200 gallon drench bucket, waterslides and water cannons. It is perfect for kids of all ages as kids up to age 12 or so can enjoy the orange water slides, while kids of all ages can enjoy the larger green water slide. We all enjoyed the drench bucket because it was such a hot day. The mushrooms are also a great way to keep cool in the heat with the water dropping off all around. In this play area, there is also a cute turtle splash pad and a 1 foot pool designed for the littlest buccaneers. There is also a life sized checker board/chess board set up in the farthest corner of Castaway Cove as well. During the summer months, the pools are open until 10:00 pm, however the water slides close down at 9:00 pm. This timing is perfect for catching Disneyland’s night time fireworks as the show typically begins at 9:30 pm as long as weather permits. This family fun hotel is still undergoing their renovation. The next phase – an additional 100 guestrooms will receive the retro makeover and should be completed some time in 2019 as well as continued hotel-wide improvements year-round. One thing to note, in the evening, as guests settle into the hotel for the evening, parking becomes limited. As we live locally, while I was checking in on my pup at home, when I arrived back at the hotel late in the evening, I couldn’t find parking. However, the concierge pointed out that their sister property across the way, valet’s their guests cars, and Howard Johnson Anaheim guests are invited to park there, complimentary. 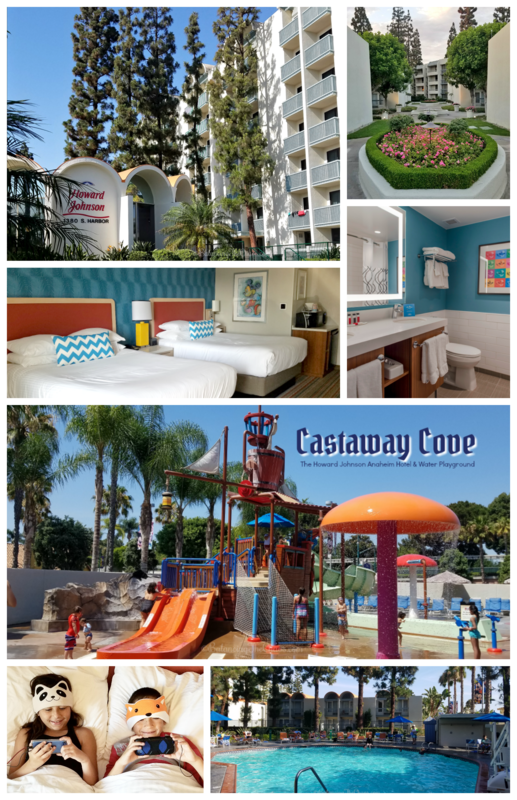 Part of the Wyndham Hotel Group, The Howard Johnson Anaheim Hotel & Water Playground is an eight-time national winner of ‘Best for Families in the U.S.” recognition from Tripadvisor.com and “Best of the Best” winner from Howard Johnson by Wyndham. For more information and to book your stay, visit https://www.hojoanaheim.com/. You can also find Howard Johnson Anaheim via social media: Facebook, Twitter and Instagram.